Styled with regina knit tank . Trick them all. 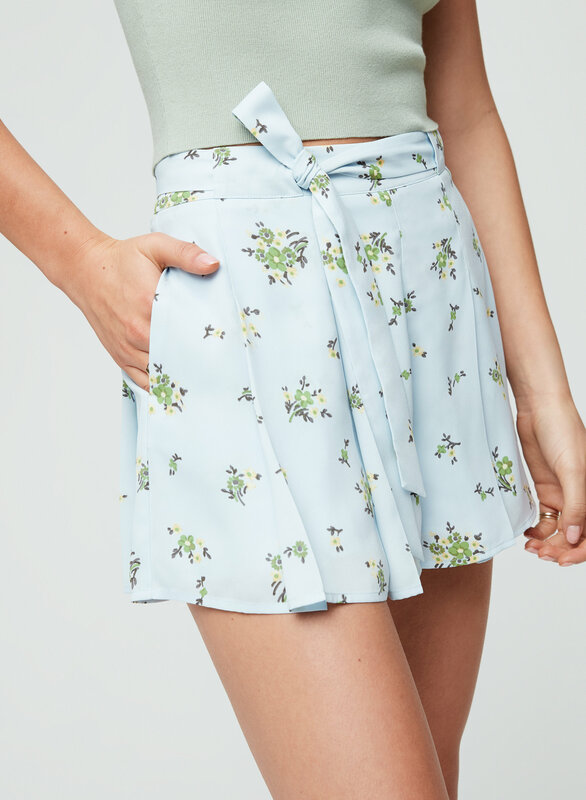 This is a flirty skirt with the practicality of shorts, tailored with feminine pleats. It's made with a drapey, silk-like fabric and comes with an adjustable sash belt. 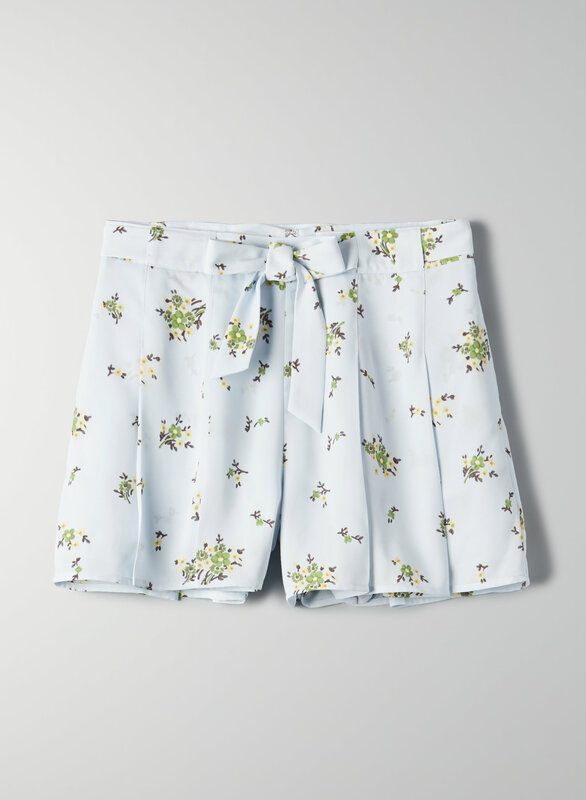 This version of the Westley comes in a scattered-bouquet print.